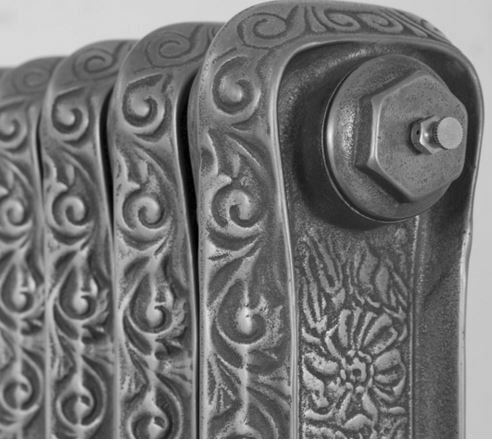 The John King cast iron radiator is a very decorative radiator, taking its name from an old Liverpudlian plumbing company. 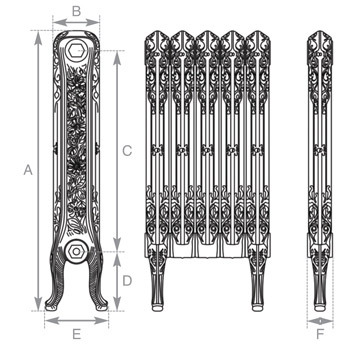 The John King is a superb Anglo-American designed radiator with interesting features. An inlaid feature of floral patterns serves to juxtapose the crisp ridged piping formed around the edge which cascade into cabriole legs completing its sophisticated appearance. 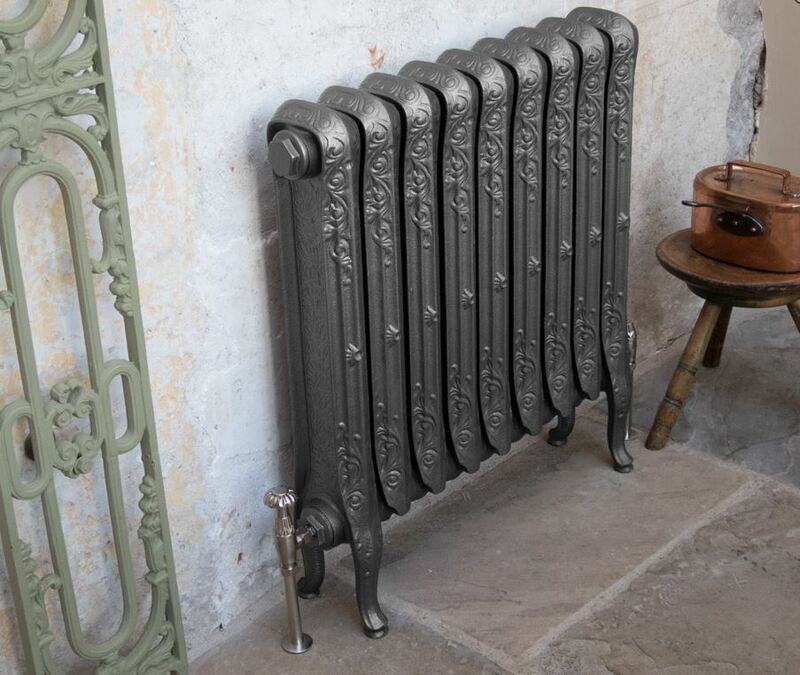 The John King comes in a height of 780mm and a depth of 175mm so this is a lovely slimline radiator; it gives a heat output of 327 BTU’s per section at Delta 60.